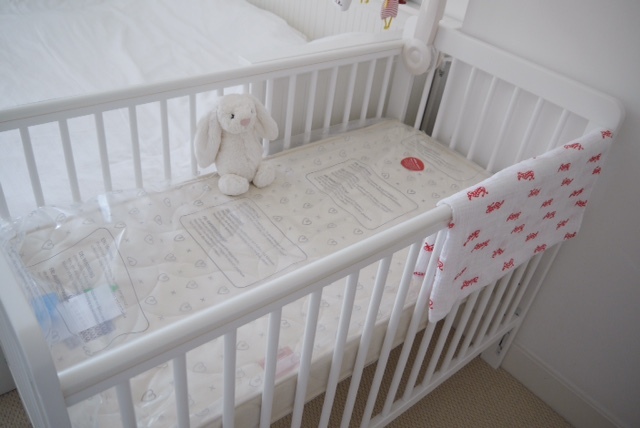 Back in December 2015 I shared a few Nursery Decor / Baby Nursery blog posts with you all and since then I haven't really had the chance to do much else to it. Now that I am back at work and things are settled I actually have time to add a little more to it. If you missed the previous posts you can catch up below. Nicole will be staying at my aunts for 3 nights a week occasionally so we needed to buy a new cot / mattress for her house. 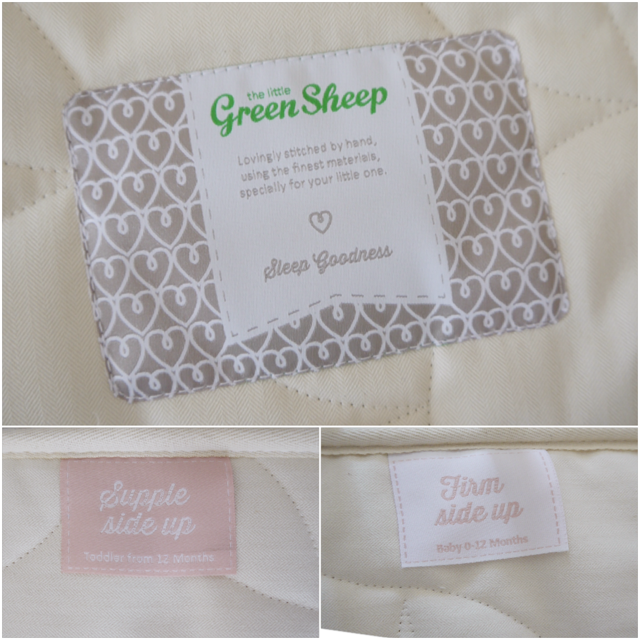 I decided to move the mattress we are using to hers and pick up this Sniglar Cot from Ikea and replace the mattress at mine with *The Little Green Sheep cot mattress. We are also loving the Aden & Anis classic swaddle blankets. We brought these from TK Maxx (full price £45 we paid £19.99 for a pack of 4) at fraction of the cost and they have multi uses - blanket / making it into a pillow for the pram / in the car covering the sun / using it for burping after feed etc... The more you wash them the softer / more absorbent they get. I would highly recommend buying these for newborn. 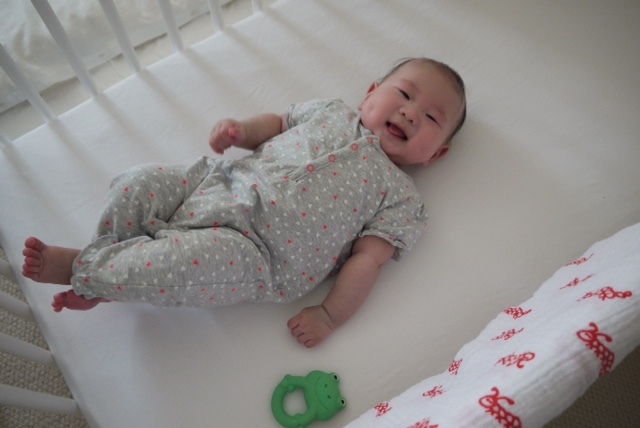 Look how happy she looks in her cot! I picked up these shelves from Ikea end of last year but never got round to putting them up. I planned to use the as a book shelf like photo below taken from Apartment Therapy. Now all I need is a selection of books to complete the look! Hopefully I can get on with this once mother leaves and returns to HK. That's all from me...hope you are all having a great Bank Holiday weekend!